My wife and I often get glances when we’re walking down the street or in the mall, holding hands. From the outside, I look like your typical white 20-something-year-old. You probably wouldn’t even know I’m Muslim, or that I had Indigenous ancestry. My wife has latte-coloured skin and wears a hijab. Visibly, you’d be able to tell she’s Muslim, but you might not know that her ancestry is marked by slavery. When people see us, they probably don’t think that we’re married, or follow the same religion. To the world, we probably seem like an oddity. But that doesn’t matter when you love someone. Even today, some people are uncomfortable with the idea of two people of different ethnicities being together. And sadly, some people are violently opposed to the idea of different ethnic backgrounds at all. Last week, the Charlottesville riot taught us that racism is alive and thriving in America, like a garden overrun by weeds (and, if I take the analogy further, practically being nurtured by its gardener, either by purpose or neglect). Though I live in Canada, Trump-style rhetoric has seeped into our own society and politics. We have our own alt-right media outlets that stir up hatred and grief. Alberta had the largest rise in hate crimes in Canada. Every now and then, I’ll see a truck drive by with the words “Trump” stickered on the rear window. One only needs to look at our last federal election and how the non-issue of niqab became a lightning rod for right wing politicians and their supporters. What I’m saying is: we’re not immune to hatred. Nowhere on earth is. If we forget history, we are doomed to repeat the hatred, racism and, most frighteningly, genocide that marked the previous century. Both mine and my wife’s ancestry is marked by racial prejudice. My wife is Guyanese. Guyana is a nation that was colonized by several European nations, all of which used slaves and labourers from Africa, India and China. On my side, just a few generations ago, my great grandmother and her siblings were subjected to residential schools that tried to purge them of their Indigenous language, practices and identity. 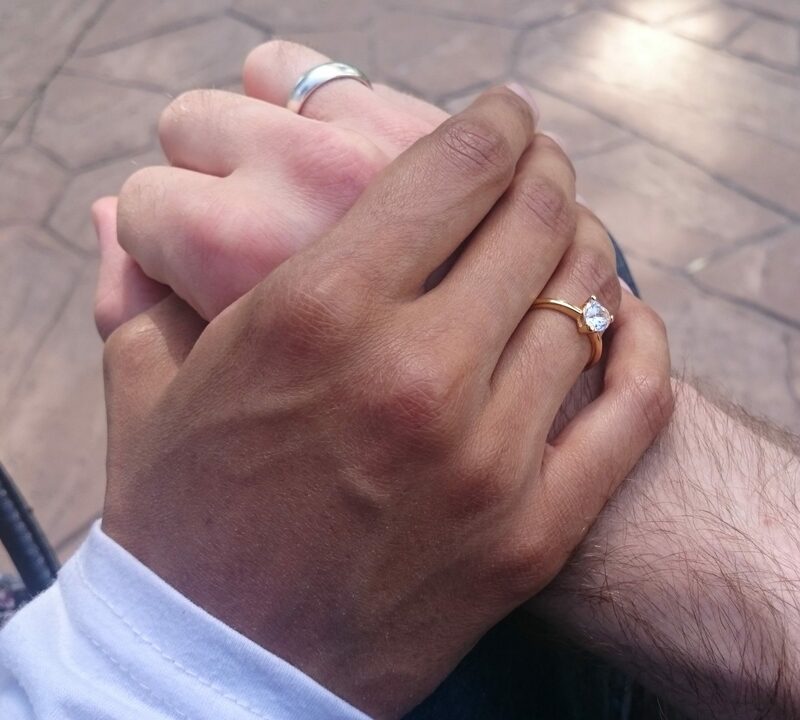 Though my skin is white, for me to think that that makes me better than anyone would be a gross insult to my faith, my history, my wife and her history. At its core, the idea persists that white nations are inherently purer or more advanced than all other ethnicities. This dangerous idea has been perpetuated throughout history: the idea that your worth is determined by your skin colour. It is against everything any person with decency would hold true. A little bit of knowledge goes a long way in this regard. As Sheikh Yasir Qadhi mentions in a Friday sermon, no one race has dominated human history. The Muslim empires dominated much of the world from the 8th to 13th century. Prior to them, it was the Romans; after them, the Renaissance in Italy. Today, technological superiority is held by Western nations. But mere technological superiority is no standard by which a nation’s merit can be judged. That superiority is built on the backs of slaves and colonial oppression. Morals and human rights can’t easily be quantified, but I would argue they are far more worthy than technological achievement or gross GDP alone. Focusing only on these material things will only result in a decay of morals. This idea was radical among the Arabian tribes of his time, since many felt their honour was tied to their lineage (an idea ironically echoed by white nationalists). In a masterful social and ethical move, Prophet Muhammad designated a poor, black slave named Bilal to be the first person to ascend to the top of the Ka’bah—the holy mosque in Mecca—and give the call to prayer. From then on, Bilal was the one to give the call to prayer, and his words have been echoed by Muslims of all ethnicities and economic statuses ever since. It was meant to show that ethnicity and status don’t matter in the sight of God. What matters is what is in our hearts. It’s a shame that, 1400 years later, people still don’t understand this. The reactions to the Charlottesville riots have shown the true colours of people, such as Trump’s refusal to condemn white nationists, or on the other hand the many tech companies (such as Twitter, Apple and GoDaddy) that are actively hunting down racist or white supremacist organizations that use their service. It was a tragic incident with a tragic failure in leadership from the president. It has resulted in swift and strong repercussions with people around the world who still have a moral conscience. The alt-right, neo-nazis, white nationalists, all of these hate groups have been bolstered by an increasing presence in politics—not just Trump, but also in France’s Marine LePen, or the Netherlands’ Geert Wilders. In America, we are seeing the sad and harsh realities of what living under such an ideology entails. So when our leaders fail in providing moral leadership, then it falls on us to stand in whatever way we can to keep the shadows at bay. Do what you can. Speak up about it. Add your voice to the many who oppose such despicable beliefs. You can do it in everyday things: be proud of your heritage. Educate people about your culture, about history. If you have friends whose ethnicity is different from yours, stand by them. If your wife is from a different ethnicity, hold her hand in public and ignore the stares. Our hands are all the same. They are made to be interlocked, to fit together regardless of skin colour. In Islam, we believe that the first racist was Iblis (Satan). He believed he was better than Adam simply because Adam was created from earth, and Iblis was created from fire. And so when someone from our one human family thinks that they are better than someone else just because of how they were born, then they act in the spirit of Satan. However, this does not give us free license to stoop to their level of mob-mentality and blind violence. We have to be better than those who are fueled by hate. Regardless of our beliefs, we are all human. We bleed red, no matter the colour of our skin or flag. To face hatred and evil, we must be better. We must let our true colours be those of love, hope and optimism, not hate and division. I think a cool cure to racism would be for those people to have a vivid dream in which they were the dark-skinned ones. Not just in the U.S. right now, but in Apartheid South Africa, and at the time of the KKK in America. Or a minority in some Eastern European country under the tyranny of an oppressive government. To just *feel* how those people feel – intensely – then wake up. If a dream can change your attitude, I think those are the dreams I’d wish upon them all.